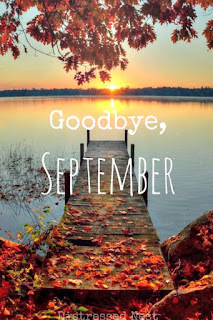 September was a month of slightly cooler temps, It felt great adding a light a comforter to the bed and using the crock pot for the first time in several months, making beef stew and corn chowder which were nice changes. Tomorrow we will go apple picking and apple crisp or apple pie will be sure to follow. 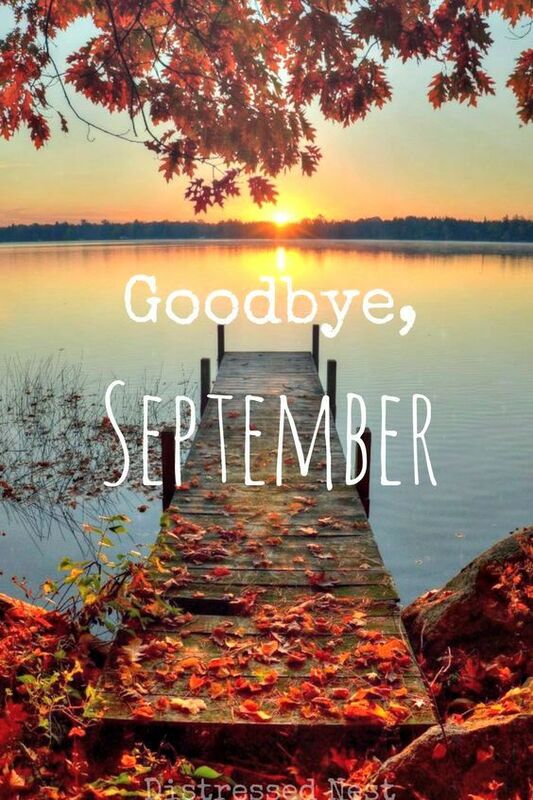 September was also a good month for books, I read (11) books and completed my RIP 13 goal of 4 books. 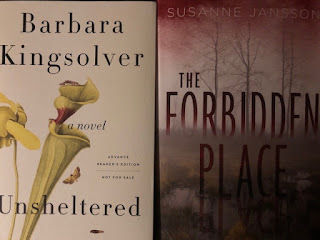 RIP 13 Challenge - For the RIP 13 Challenge, I picked 5 books I thought I might like. 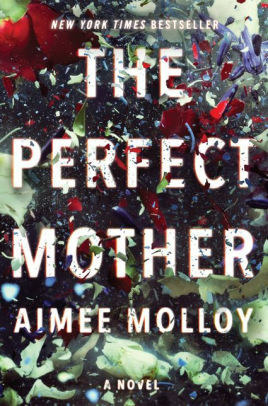 One was DNF, The Perfect Mother, Aimee Molloy, it just wasn't a story that I was enjoying. If interested you can see the books I completed HERE. Book Club Read - Our book club read for September was, My Brilliant Friend by Elena Ferrante, I read it in 2012 so just looked at my review notes for discussion purposes. Out of 10 people who showed up for the meeting, most thought that this was just an okay read and did not like it enough to complete the series but, were curious how it might turn out. Did you know this one going to be a HBO series beginning in mid November. It will be in Italian with subtitles. Here's what I have in progress right now - all are pretty good. 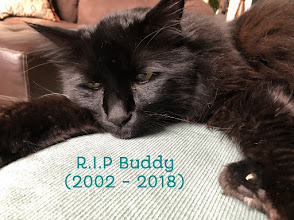 Buddy Update - a few weeks ago I mentioned how our 16 year old cat had lost quite a bit of weight so we had the vet do blood work. 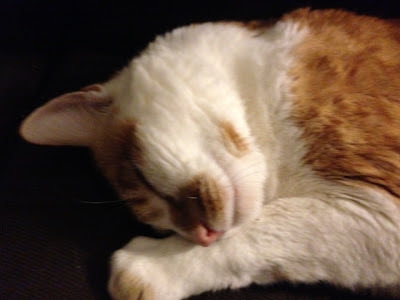 We learned it was a thyroid problem, so he's been on a transdermal cream, twice a day for a few weeks now and we'll have his blood work repeated in a few more weeks. He's become a constant sleep companion, right between our two pillows every night lately and even stares at me each evening so that I'll get ready to read in bed. I sure will miss this snuggle bug someday. As for food, he is fussier than ever and I feel like I am wasting so much food - one week he likes something and the next week refuses it. He is absolutely nuts over oatmeal, scrambled eggs and shrimp though. We indulge him from time to time. Fifteen year old Ana Cortez has spent much of her young life in foster homes, ever since her parents and then her grandmother were murdered. After another incident with a foster family she is told by her social worker that her next option will be a group home unless she agrees to leave east LA for a farm aide position in Northern California with sibling farm owners Emmett and Abbie Garber. 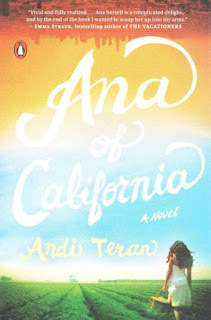 This is a story that has been compared to be "In the grand tradition of Anne of Green Gables, Bridget Jones’s Diary, and The Three Weissmanns of Westport, Andi Teran’s captivating debut novel offers a contemporary twist on a beloved classic." Unfortunately, I haven't read any of the referenced books but, this was certainly a heartwarming, coming of age story about a young girl who had faced some very sad challenges in life. I admired Ana's determination to do a good job on the farm and, to not be viewed as a "screw up" as some of her foster parents labeled her. The other characters like Cole, the young boy and special friend, Ana found came across as genuine and caring. Emmett, was curt and not receptive to having Ana on the farm. He did not believe Ana would be of help, but Abbie, on the other hand, was sweet and supportive. 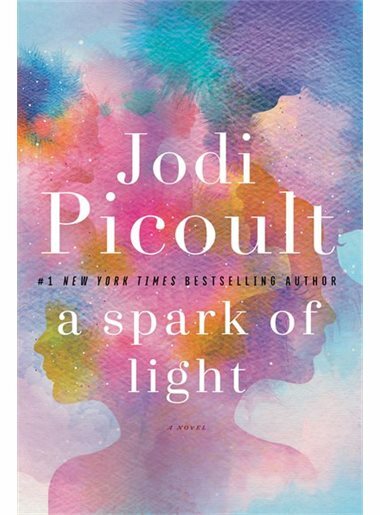 I do wish that the ending was not as rushed as it was but, overall, I thought this was a very good story, and, I think reader who enjoy YA fiction will really like this story. Amy is a young, lonely woman just out of a relationship. Once a party girl, she now spends her time visiting the housebound and administering communion. One day, one of her clients, Mrs. E, an elderly woman with dementia, mentions something which disturbs Amy and makes her concerned for Mrs. E's safety. Mrs. E. reports that a young thug named Vincent has been using his mother's key to enter her apartment unannounced. Amy's curiosity gets the best of her and when she decides to follow Vincent, she witnesses something she wishes she hadn't and her life slowly spirals out of control. This story totally took me by surprise and it wasn't at all what I was expecting after reading the first chapter. The protagonist, Amy, does some incredibly dumb things along the way yet, I kept hoping she would find her purpose in life and come to terms with her dysfunctional childhood. This author is new to me and he certainly knows how to write a character driven mystery. He also created a great sense of place and made me feel like I was right there watching the story unfold. Although parts were a bit slow but, this was still a very enjoyable read. "Stanley Huang sat, naked but for a thin cotton dressing gown crumpled against the sterile white paper in the hospital room, and listened to the young doctor describe how he would die." 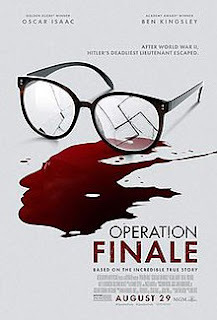 Operation Finale was my husband's pick this month and, although I didn't think I would care for it, I thought it was very well done. Based on true story in 1960, a group of Israeli Mossad spies travel to Argentina and capture Nazi officer, Adolph Eichmann (played by Ben Kingsley) , who was responsible for carrying out some of the most terrible crimes of the Holocaust. There isn't a lot of action in this movie but, for me, it was a refresher of yet another painful time in history. 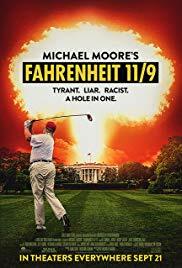 We loved Fahrenheit 11/9. Michael Moore connects the dots and makes sense about our last presidential election. This film is not a total Trump bashing as some might expect. The documentary interviews some had and forgotten Americans and hits the democratic party, including President Obama pretty hard at times as well. There is also time spent of the Flint, MI water poisoning fiasco and coverups, the Parkland shootings and the building momentum of the new grassroots movements in politics today. In case anyone is interested in knowing more about this film, here is a very good recap by CBS. I'm a sucker for psychological thrillers and since I enjoyed this author's two previous books, I looked forward to her newest book. As this story opens, Finn and Layla, a young British couple on vacation in France, are on the road when Finn needs to use the restroom. He stops at a remote service area while Layla waits in the car. When he returns, Layla is no where to be found. Although Finn is suspected in her disappearance he is never charged. Fast forward twelve years and Finn is now engaged to Ellen, Layla's sister. There has been a reported sighting of Layla, but she hasn't turned up nor, has her body been found. Emails from unknown individuals who seem to know things that have been kept secret start arriving, shortly after Russian dolls begin appearing. The dolls have a significant link to both Layla and Ellen. Is Layla alive or is someone playing cruel trucks, and why? Told from the before and after POVs, I must say part 1 really kept me riveted, but, by parts 2 and 3 the story seemed to slow and get very repetitive. It seemed like every chapter began to mention "Russian dolls" and "Peggy the Dog". 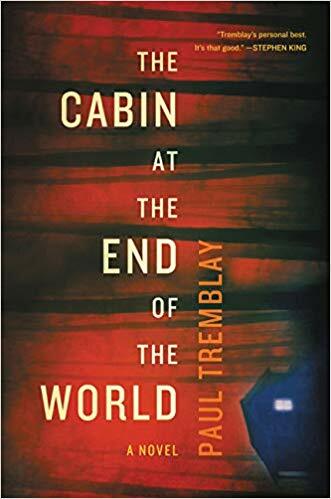 The ending left me somewhat disappointed and, overall, for me this story just lacked the suspense and surprises found in the author's earlier books. In this sequel to Beartown, returning readers will find the first 50+ pages recap what transpired in Book 1. I thought the sequel started out slow and seemed less about hockey and more about the people who live in the small town of Beartown, a town that was struck with tragedy and scandal. There are some new characters including a new hockey coach, this time a female, which creates controversy. The story covers many weighty issues like homophobia, suicide and violence and, while I don't have a problem with meaty issues, this book came across as a little too preachy at times. I also wasn't a fan that the author overdid the foreshadowing in this one as well. 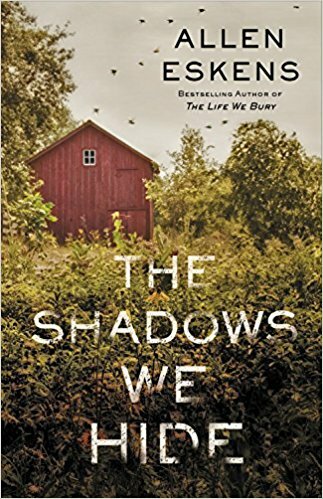 Don't get me wrong, this author knows how to write about people and small town life, there are many beautiful passages that will make you think. 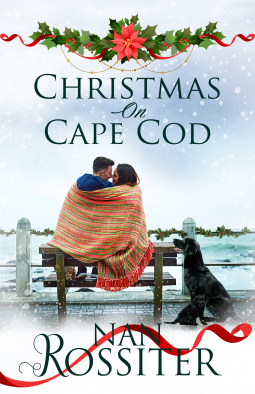 Readers who love stories about close knit, small town life and, those who love character driven novels, this series is for you. 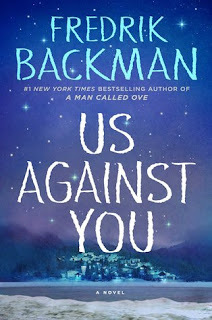 Bachman has the unique ability of creating characters who are able to feel empathy when individuals suffer. Some readers have described this series was an emotional roller coaster, I didn't see it as such but, it certainly was darker, sadder and even a bit gritty at times. If you plan on reading this series, I'd recommended reading the books in order. I felt like I did pretty well with my summer must-read list so, I decided to try a fall list as well. "When Mrs. Epifanio opens the door, Amy can tell right away that something's wrong. Monsignor Ricciardo had told her a few months ago, when she started doing this, that Mrs. Epifanio was prone to fits of dementia, that some days she'd probably seem very confused about where she was and what year it was and who was dead or alive. But Amy's only seen that side of Mrs. Epifanio once or twice. She's usually cheery and bright-eyed in the morning, so lively for a ninety-year-old, standing with her shoulders hunched, her bobby-pinned, rose colored hair wild, her taped on-the-bridge-of-the-nose glasses hanging restlessly around her neck." When you first meet Vanessa, it seems plain as day that she is a disgruntled ex-wife, who will do whatever it takes to prevent her replacement to be, Nellie, from marrying her former husband, Richard. Richard is a polished, handsome and controlling hedge fund manager in NYC. Now Vanessa has been tossed aside, where she once had a Mercedes, she now lives with her aged aunt and works at Saks while Nellie, a beautiful, young nursery school teacher has been planning a future with Richard. As Vanessa begins to stalk Nellie and get to her a bit, Nellie begins to rethink her relationship and whether marriage over her fun single life in Manhattan is what she really wants, and so the plot thickens. 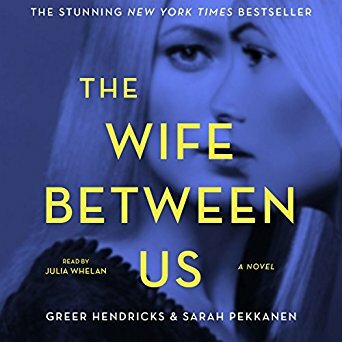 As I listened to this, addictive, yet sometimes confusing, psych thriller, it took a while but soon became clear that in this story, nothing is as it seems. We never know who is telling the truth and who might be a little whacked. It's a story that has plenty of twists and I never had it figured out until I listened to the epilogue twice. Fun read for sure. "Have you ever wondered how long it takes to dig a grave? Wonder no longer. It takes an age. However long you think it takes, double that." So right from the start you wonder whose grave our narrator has dug? Erin is a documentary filmmaker who is planning to marry Mark, a handsome investment banker. They plan a spare no expense, 3-week honeymoon to Bora Bora. Just as all this is about to happen, Mark loses his job but, the couple is madly in love and they decide go ahead with their special honeymoon plans, knowing they'll have to cut expenses when they return until Mark finds another job. 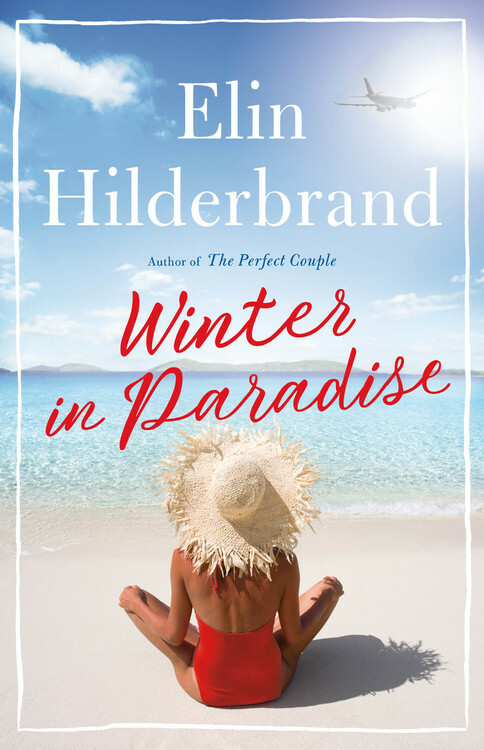 In Bora Bora while scuba diving the couple discovers a private jet on the bottom of the ocean floor along with several bodies on board. They also find a locked duffle bag belonging to someone on the downed plane. Dragging the bag out of the water, the couple must make a decision, tell no one or report what they discovered. The decision they make sets off a dangerous chain of events. 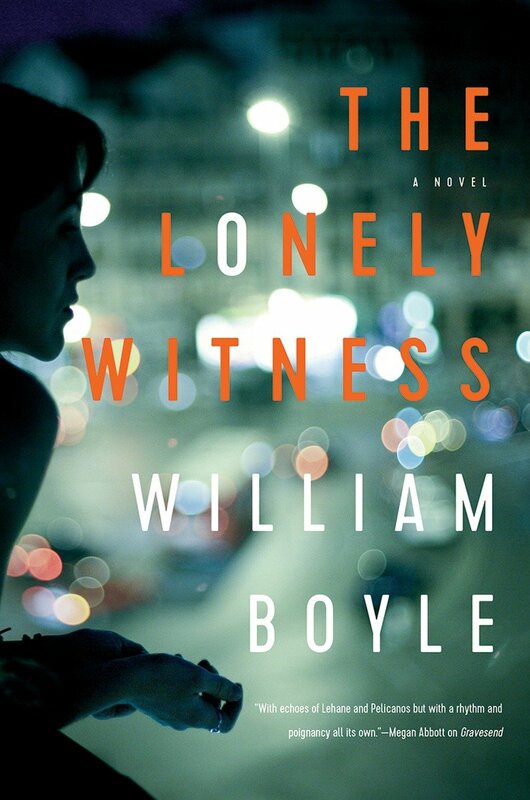 This was a past paced, psych thriller that had me hooked from that very first paragraph. The story was far from perfect, but I loved that it never lost its momentum. 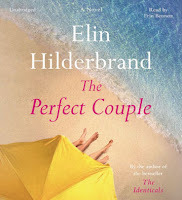 Yes, the couple makes some stupid mistakes along the way, but, I just really enjoyed wondering what would happen next. It made me wonder what I would have done when I was young and feeling invincible, had I faced this same temptation. Psych thriller fans should try this one. 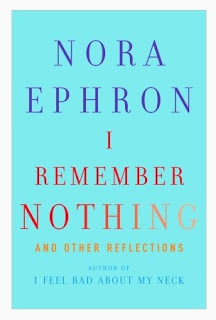 In this collection of some (23) essays, the late Nora Ephron (2012) writes on a variety of subjects; past, present and future. One story, "My Aruba", is an essay that Ephron names after her cowlick, a bald spot on the back of her head. 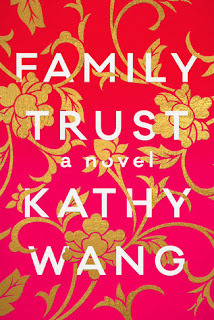 In "My Life as an Heiress", she talks about family and how she was not from a close-knit family. She resented that her brother Hal got to attend Columbia while she had to go to a public college. Then in another short reflection simply titled, "Teflon" she made me smile once again. 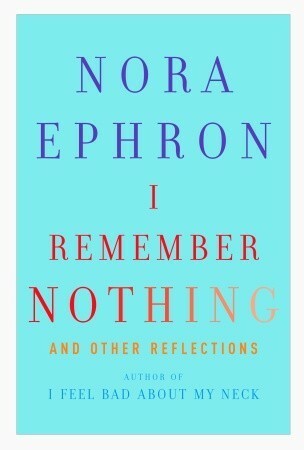 Her reflections are often funny, sometimes downright quirky, and other times insightful and though provoking. 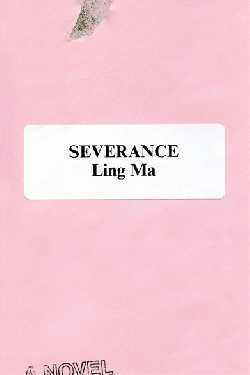 The author wrote this collection when she was dealing with leukemia which most of her followers were not even aware of at the time. Her fans were naturally shocked to learn of her passing in 2012 at the age of 71. I thought this was a nice collection after, I Feel Bad About My Neck and Other Thoughts on Being a Woman, a book that had really resonated with me when I read it. "None of what’s going to happen is your fault". Three more strangers then arrive at the cabin carrying unidentifiable, menacing objects. As Wen sprints inside to warn her parents, Leonard calls out: "Your dads won’t want to let us in, Wen. But they have to. We need your help to save the world." 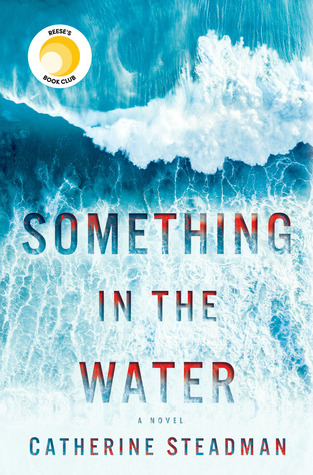 All the above happens within the first 20+pages of this gripping, at times heart-pounding, novel. 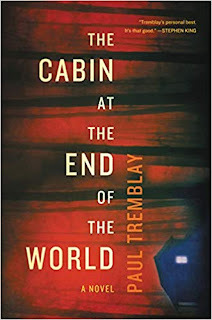 The remote setting, a home invasion, and what follows had me quickly turning pages, even though it became clear, early on this was a book that was making me uncomfortable and, yes, there are aspects of the story that were quite disturbing, I had to see how the story played out. Can't say I'm sorry I tried this one but overall, I did have my issues with this one. The Otis-Winbury wedding at a fabulous oceanfront estate on Nantucket Island was sure to be the wedding event of the year, until the unthinkable happens. Just hours before the wedding was to take place, the body of Merritt, the maid of honor-to be, is pulled from the harbor. Was her death an accident or was foul play involved? I've read quite a few stories by this author, but this one, by far, was a favorite. I loved the mystery element of this story. 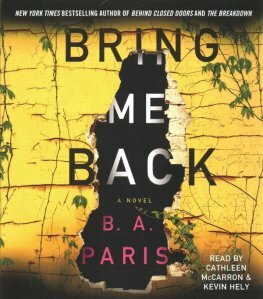 The characters were great and I loved the way the story unfolded with little flashbacks into each of the main characters. 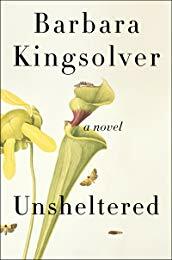 The contrast between haves and the have-nots was well done and the island setting was so descriptive that you could imagine being there. A very nice summer read, part mystery, part family drama, part love story. 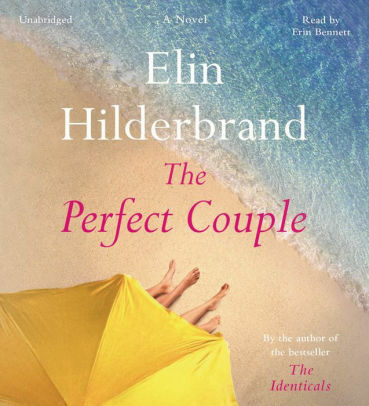 The Perefct Couple unfolds at just the right pace to keep you reading (listening in my case). I really enjoyed this one. The week flew by quickly: yoga (x2), a doctor's visit, an ultrasound with "nothing serious" results, repeat in 4 months (thank goodness). 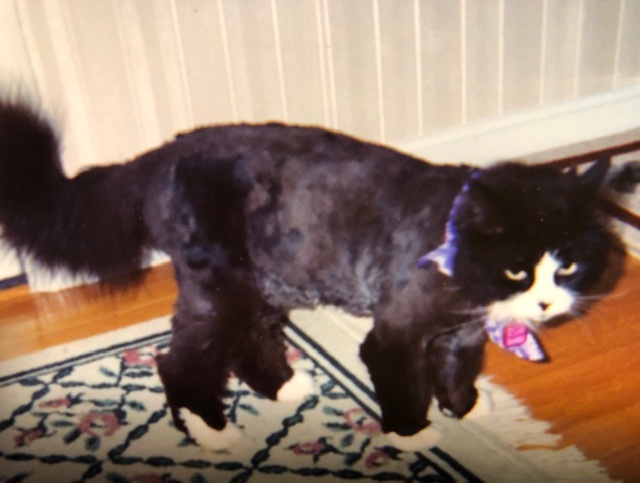 There were also lunches out, a library book sale, a visit to new casino and blood work for our remaining cat who is now 16. He seems to be acting okay but has lost 1.5 lbs in 6 months (awaiting blood results). At one time he weighed 13-14 lbs but now just 9.6. Many thanks for the above (2) books arrive last week from publishers. 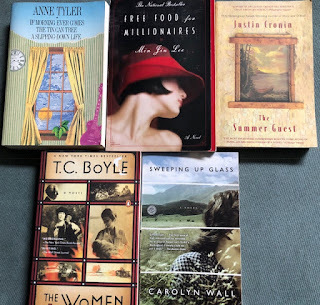 $2.50 for the above (5) books at a library book sale this weekend. Alex, Suzette and Hanna Jensen are a family. Alex, an architect, Suzette, stay at home, home-schooling mom, and Hanna, a challenging seven year old child. Hanna is described as extremely intelligent but is non-verbal, despite a battery of tests and no findings. Hanna, comes across as the "the bad seed". 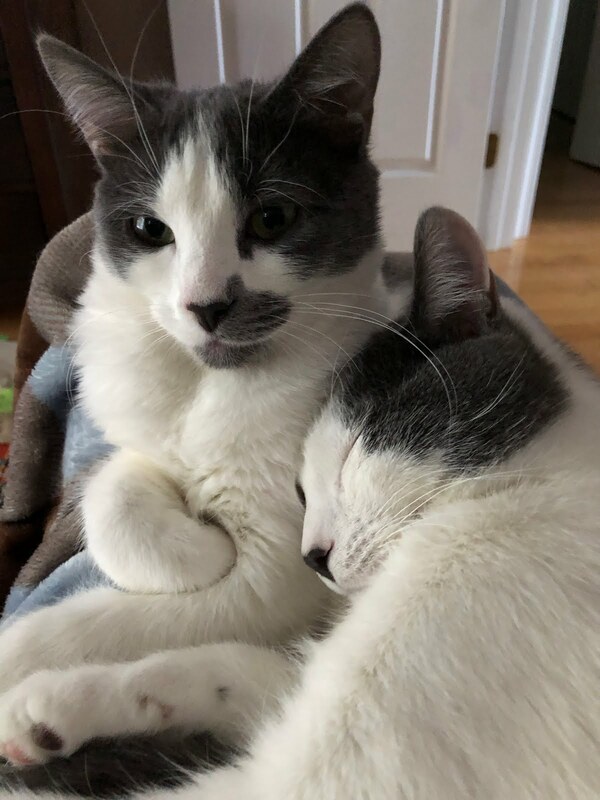 She is extremely loving toward Alex, but manipulative and exhibiting extremely dark and frightening behaviors toward Suzette when Alex isn't around. They've tried her at a few different schools, all ending in her dismissal because of things she has done to others. The few words Hanna does utter, in Suzette's presence prove disturbing. Hanna is determined to get her mother out of the picture at any cost so that she can have her father to herself. 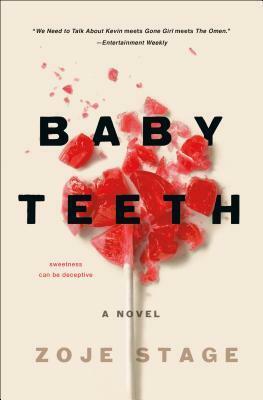 This novel felt like it was written to shock. It is told from alternate viewpoints of Suzette and Hanna. The reader is privy to each horrific thought and action Hanna plans against her mother. I found it hard to believe that a seven year old, regardless of intelligence, could come out with and carryout some of these plans. I had issues with both of the parents. Suzette had a less than perfect childhood and is estranged from her own mother. She had other issues as well. Alex did not seem concerned enough or supportive of his wife. I was happy I tried this one and think psychological thriller fans might like this page turner. 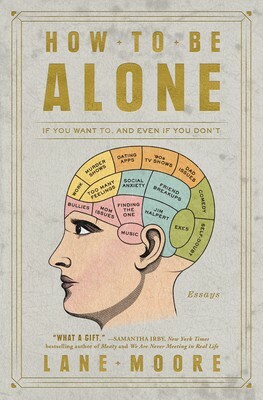 Book clubs would have plenty to discuss with this one. 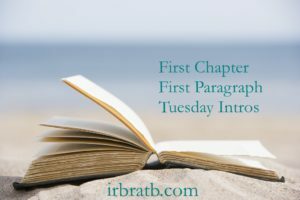 What do we know about our unnamed narrator? She's 26, young, thin, pretty and a recent graduate of Columbia University in New York City. She works in a Chelsea art gallery and has a Wall Street boyfriend who was kind of a jerk. She also has a love/hate relationship with her best friend Reva. 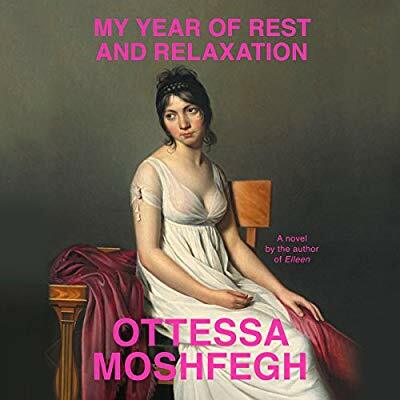 With her wealthy parents, now decreased, our narrator, when caught sleeping on the job, decides to quit her job, deciding and take a break from it all. 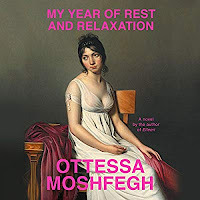 A year to be alone, away from all that is familiar to her so that she can just rest and relax. With the assistance with a nutty psychiatrist and her dead mother's personal stash of pills, everything from cough syrup, tranquilizers, pain pills and other psychotropic drugs, she takes a break from life. How does her story end? You'll just have to read or listen to this one to find out. Extremely creative, well-written, cynical and engaging, this book was also oftentimes crude and a bit over the top. Maybe, I'm just getting too old to appreciate a story of this nature. The fact of the matter, I loved the dark nature of the author debut novel, Eileen, so I guess I was expecting to enjoy this book much more than I did. "The girl with the dark hair walks down the wooden front stairs and lowers herself into the yellowing lagoon of ankle-high grass. A warm breeze ripples through the blades, leaves, and crab-like petals of clover flowers. She studies the front yard, watching for the twitchy, mechanical motion and frantic jumps of grasshoppers. The glass jar cradled against her chest smells faintly of grape jelly and is sticky on the inside. She unscrews the aerated lid." I admit this intro was pretty boring to me but, it isn't long before I felt terrified as I read. I'm about (1/3 through this one for the RIP 13 Challenge and enjoying it thus far). 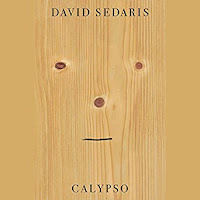 In his latest collection of about (20) essays, best described as dark comedy, David Sedaris is pure entertainment. The focus of these essays is primarily: family, aging and death, but don't get me wrong, it's never depressing. Here's a brief look at just a few of the offerings. Sederis and his husband Hugh purchase a seaside vacation home in Emerald Isle, NC, where David's family had vacationed prior to his mother's death at the age of 62 from lung cancer. The couple looks forward to continued family gatherings in summer and Thanksgiving. He tells of friendship and caregiver experience, bringing food, to a sea turtle that was missing part of its foot and had a tumor on its head. We learn of his strained relationship with his 90+ year old, ultra conservative father, who still lives in a huge house where the family grew up. 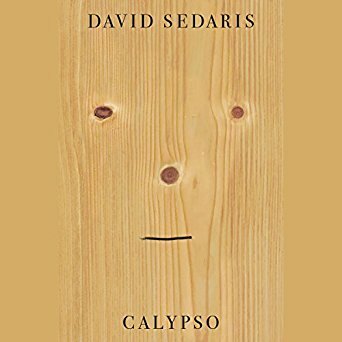 We learn about his sisters and there is even an essay where David talks about the suicide of his younger sister Tiffany just before her 50th birthday. I loved each and every story because as the author strikes the perfect balance of warmth and humor in the personal stories he shares. Although at times the tone was somber, it was never overly so. The audio is read by the 61 year old author himself, so his insight on family and aging sounds so genuine. If you need a good laugh, be sure to pick this one up, the audio is delightful. 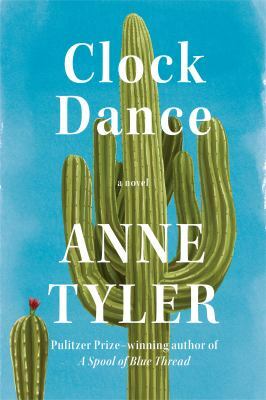 Clock Dance opens in 1967, PA, and follows the life of the book's main character Willa Drake. We first meet Willa when she is only 11 years old. Her dysfunctional family includes a mother, who walks out on the family without notice, her passive father and a younger sister. 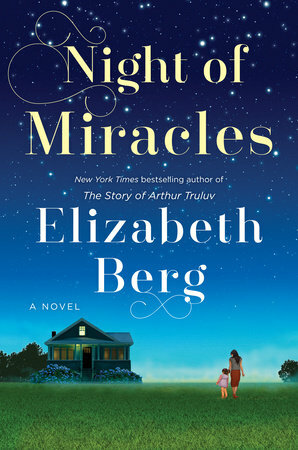 At 21 Willa marries her college boyfriend and at 41 she finds herself a young widow. Fast forward to part II, Willa is remarried and living in Arizona. It's a marriage that demonstrates that she has repeated some of the patterns of her past, When an unexpected phone call from Baltimore from someone in need of help causes Willa to leave her home in Arizona. While in Baltimore, it's like a lightbulb finally goes off, helping Willa to decide how the remainder of her life might possibly play out. This was a slow moving story. I loved the writing but, I found myself wishing Willa would become a stronger, more outspoken woman. She was one of those women who never expected much from other people, including her family, and as a result she got very little in return for her efforts. 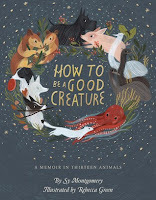 I was happy I read this one even though it wasn't perfect, I thought that the quirky characters introduced toward the end of the novel were delightful. 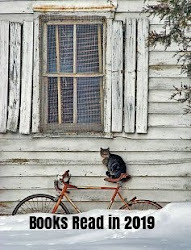 I've participated in the Readers Imbibing Peril Challenge every fall for the last 10 years. 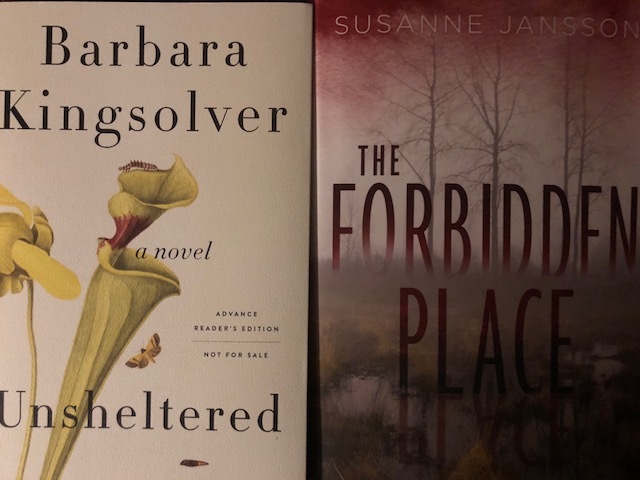 It's fun putting together a fall list of thrillers or mysteries just for this challenge. It was started by Carl V. Anderson @ Stainless Steel Droppings and he hosted it for many years. Then Estella’s Revenge took over as hosts. 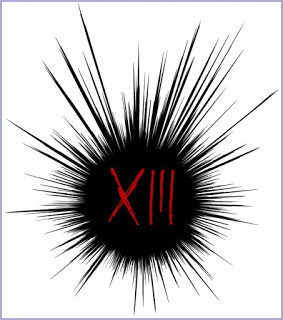 This year, Kristen @ We Be Reading, is hosting it, and it’s a very special year for this challenge: Number 13! And the main goals are to HAVE FUN, and to share that fun with others. Pretty simple. I am choosing PERIL THE FIRST - read four books of any length during the challenge time period. Here is a possible list of the 4-5 books that I am considering for this challenge which begins September 1 and continues through October 31st. To find out about the various Peril levels, and to sign up, visit the challenge announcement page HERE.